November has finally brought some cooler weather. The Farmer’s Almanac is predicting near normal temperatures but wetter than usual for the southeast for the next couple months. Data from the NOAA suggest that November in North Florida will have above normal temperatures and above normal precipitation. The 3-month outlook for North Florida predicts an equal chance for above and below normal temperatures, with above normal precipitation. The average first frost date for Jacksonville Beach is December 17. A great variety of plants can still be planted in our area this time of year. Annuals (Or Grown As Annuals): This is a good time to refresh flower beds with cool season annuals. The beds can be enriched with organic matter at the same time. Chrysanthemums will brighten the landscape for several months. We have many colors and sizes. See our handout on Chrysanthemums for tips on how to keep them flowering longer and prettier. Supertunias and lobularia are also favorite flowers for this time of year. 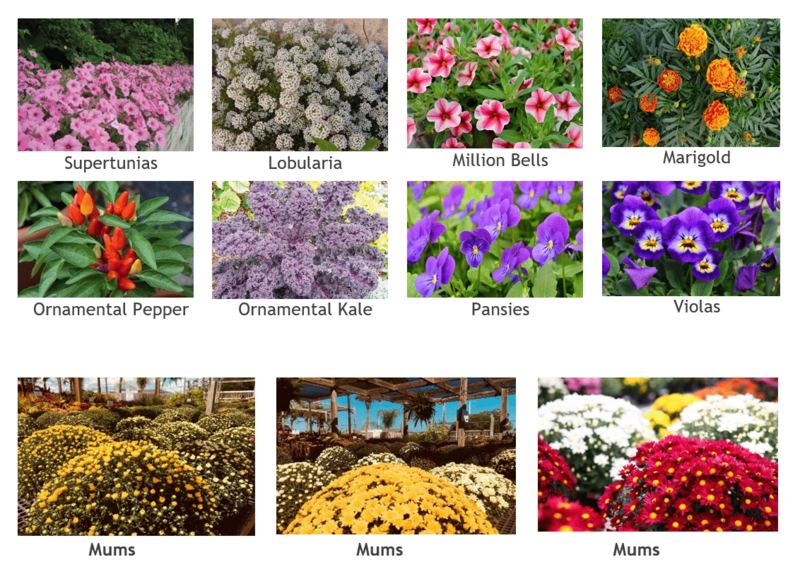 Other great options are marigolds, million bells (Calibrachoa), snapdragons, dianthus, lobelia, nasturtiums, ornamental cabbage/kale, giant red mustard, ornamental pepper, gazania, nemesia, diascia, dusty miller, verbena, wallflower (Erysimum), pansy and viola. Seeds of delphinium, bachelor’s buttons and sweet pea can be sown. Take the guesswork out of containers and purchase one of our pre-planted combinations of colorful fall flowers. Perennials: Noteworthy perennials are shasta daisy, asters, black-eyed Susan, coneflower, coreopsis, goldenrod, Russian sage, ornamental grasses such as muhly grass, salvias, Mexican bush sage (Salvia leucantha), Texas sage, cigar plant (Cuphea ignea), baby sunrose (Aptenia), firecracker plant (Russelia), lantana, blue daze, osteospermum, milkweed (Asclepias), gaillardia, dune sunflower (Helianthus), African and Regina irises, agapanthus, foxtail fern, purple queen (Tradescantia), dianella, society garlic, and Mexican heather (Cuphea hyssopifolia). It’s a good time to plant many of the bulb lilies that grow in this area, particularly crinum, kaffir, sprekelia, amaryllis, spider lily and daylily. Vines: Passion Vine (Passiflora), confederate jasmine (Trachelospermum jasminoides), yellow butterfly vine (Mascagnia), crossvine (Bignonia), native wisteria (Wisteria frutescens), and coral honeysuckle (Lonicera sempervirens) can be planted. Groundcovers: These include perennial peanut (Arachis), ivies (Hedera), mondo grass (Ophiopogon), liriope and Asiatic jasmine (Trachelospermum asiaticum). Trees and Shrubs: As temperatures cool, it is also a great time to plant most shrubs and trees. Make sure the root ball is moist before planting. If the fall and winter is dry, be sure to keep evergreen types watered since they are especially prone to winter desiccation. Plant trees like crape myrtle and those with good fall color such as Dogwood, Chinese Pistachio, Red Maple and Bald Cypress. Camellias have started to bloom. 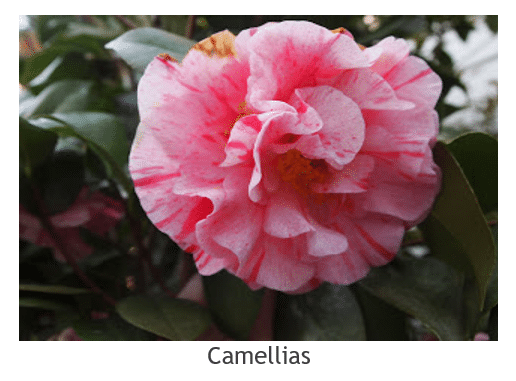 See our Camellia Variety list for descriptions of the many types available. Winter Cassia and Thryallis have bright yellow blooms and Tibouchina has purple blooms. Other shrubs include plumbago, bush daisy (Euryops), firespike, firebush, Gardenia ‘August Beauty’, ‘Soft Caress’ and ‘Winter Sun’ Mahonias, porterweed, and bluebeard (Caryopteris). Although it may need some protection later, croton is a great shrub for fall color, especially in combination plantings. The native beautyberry (Callicarpa) is still carrying its bright purple berries. Planting hollies and pyracantha can provide attractive holiday berries which are also appreciated by wildlife. When you plant, remember to ‘Dial Before You Dig’ (811) if the hole is deeper than your shovel blade. 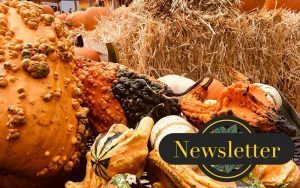 Vegetables and Herbs: Cool season vegetable crops include lettuce, mustard greens, spinach, kale, arugula, beets, brussels sprouts, kohlrabi, cabbage, Chinese cabbage, Bok choy, endive, cauliflower, broccoli, collards, and swiss chard, English peas and leeks. Beets like moisture and consistently cool temperatures; brussels sprouts need cool to cold weather. Root crops like carrots, radishes and turnips should be started from seed. It’s time to plant onion sets and transplants. See our handout Vegetable Planting Guide for North Florida for vegetable growing information. Herbs to grow now are dill, cilantro, parsley, French sorrel, salad burnet, winter savory, garden sage, thyme, mint, chives, and rosemary. Some of these herbs will grow through winter. Chives and rosemary do particularly well year-round. Stevia will grow until frost; now is a good time to take cuttings to grow indoors for planting out next spring. Basil dies at about 40° but can be grown indoors as a window sill plant. Replace the soil in vegetable and herb containers at each planting. 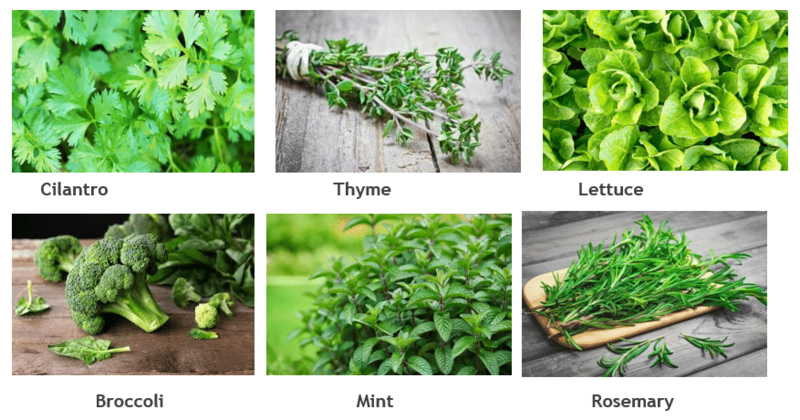 See our handout Herbs for North Florida, for growing and usage information for some of these. Fruits: Fruit and nut tree choices include blueberries, figs, Japanese persimmon, satsumas, kumquats, Meyer lemon, grapefruit, and limequats. Be prepared to protect the trunks of young citrus from particularly hard freezes. Grass leaf blades folding in half lengthwise. Grass taking on a blue-gray tint rather than maintaining a green color. Footprints or tire tracks remaining visible on the grass long after they are made. Plant wilting may be observed on landscape plants. When drought stress becomes apparent in 30-50% of the yard, then water should be applied on the next allowed watering day. Mow: Grass grows slowly now but continue mowing as needed, with the mower set at the highest recommended height for your lawn type. Never remove more than 1/3 of the leaf blade at a time. Mowing also helps remove fallen leaves from the lawn. Prune: Continue to prepare for possible hurricanes through the end of November. Prune any dead limbs and open up trees to allow for better airflow. Install lightning protection on tall high value trees. Avoid planting fast growing trees that have brittle wood. Wind resistant trees for North Florida include Live Oak, Sand Live Oak, Dogwood, Dahoon Holly, Yaupon Holly, Inkberry, American Holly, Crape Myrtle, Southern Magnolia, Podocarpus and Cabbage Palm. Most palms in general, except Queen Palm and Washington Palm, are more resistant than broad-leaved and conifer trees. For annuals and perennials, general deadheading is helpful any time of year. Don’t prune shrubs that flower on old wood (spring flowering shrubs) to avoid removing next year’s blossoms. 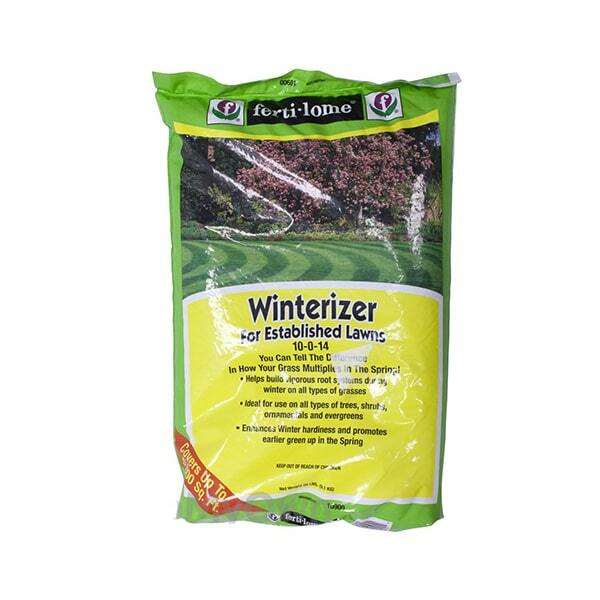 Fertilize: This time of year, the choice of lawn fertilizer is dependent on quickly changing temperature conditions. A low-nitrogen formulation such as 5-0-15, or 5-0-20 or 10-0-14 can be used while there is still some growth. Once it cools enough for lawns to go dormant or stop growing, nitrogen shouldn’t be used. Instead a 0-0-16 formulation can be used to boost overall health. The vegetable garden should be fertilized every 3 to 4 weeks, preferably with a slow-release organic fertilizer. Control Weeds: Use post-emergent herbicides such as Fertilome Weedout, Trimec Liquid lawn weed killer, and Fertilome Selective for spot treatment. Dollar Weed Control helps battle Dollar weed, but also make sure you’re not over watering your lawn and creating conditions favorable for this weed. Divide: There still may be time to divide multi-stemmed clumping perennials or bulbs, as long as they are not in flower. Amaryllis, ferns, daylilies, liriope, agave and lilies are some examples of plants that may have become overgrown or need rejuvenation. If a plant has begun to look ragged and have reduced flowering, it likely needs to be divided. Conversely, if it is taking over, division can control the spread. If it is not possible to pull apart a clump into smaller clumps each with some roots, stem, leaves and buds, it can be cut. Try to work out of direct sun, replacing the plants as quickly as possible into the soil at the same depth while mixing in organic matter. An exception to this is Amaryllis as these bulbs may benefit from several weeks of air drying before being replanted. Provide irrigation while the divisions establish. Dig: If your Caladiums don’t return well each spring you might consider digging the bulbs up in the fall to store over winter. They may be succumbing to wet winter soil. Take Cuttings: You may want to take stem cuttings from cold sensitive plants in your garden to be able to plant them again next year. This method works for most of these plants: take 4-6″ pieces of stem from branch tips, removing at least an inch of the lower leaves. The cut end can be dipped in a root stimulator powder and placed ½ to 1″ into moist potting soil in small pots. Keep moist but not soggy, in the shade until needing to move them to a bright indoor location. Mulch: Maintain a 2- to 3-inch layer around established trees, shrubs, and bedding plants to help maintain soil moisture, reduce erosion and weeds, and protect tropicals from intermittent temperature drops. Mulch also creates an attractive unified look and can highlight your plantings. Florida’s warm and often wet weather can lead to rapid breakdown of mulch, so be on the lookout for our pre-order mulch deals. Relocate Houseplants: Prepare to bring houseplants back inside if they have been out for the summer. 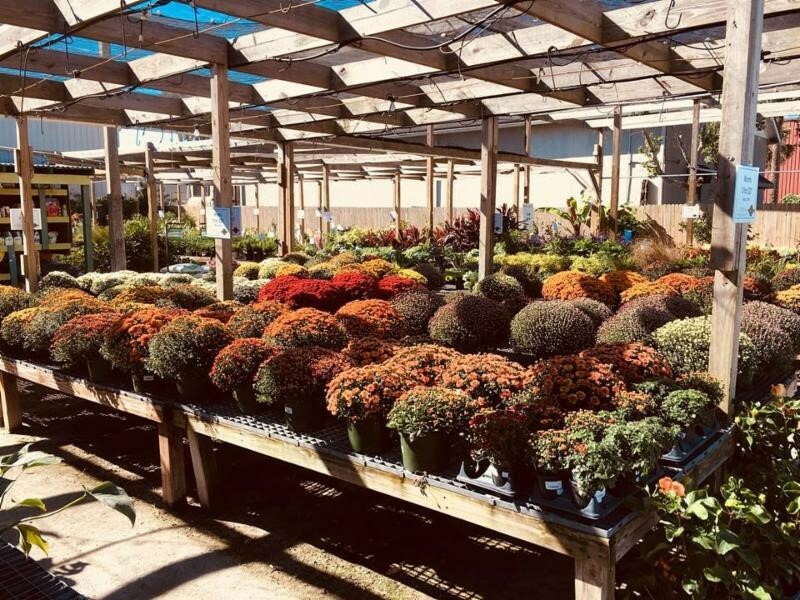 Especially if overhead cover is provided, some plants typically grown in the home are fine in short term temperatures close to freezing, but others need to be above 50°, so know what you have. Remove any dead or dying foliage. Lightly spray them down with the garden hose and wipe leaves with a sponge to remove dust and insects. A dose of insecticidal soap or Spinosad may be needed before bringing plants indoors but continue to watch since one application may not be enough. Water your plants less often in the winter. Also, be on the lookout for a new handout on managing large indoor houseplants. 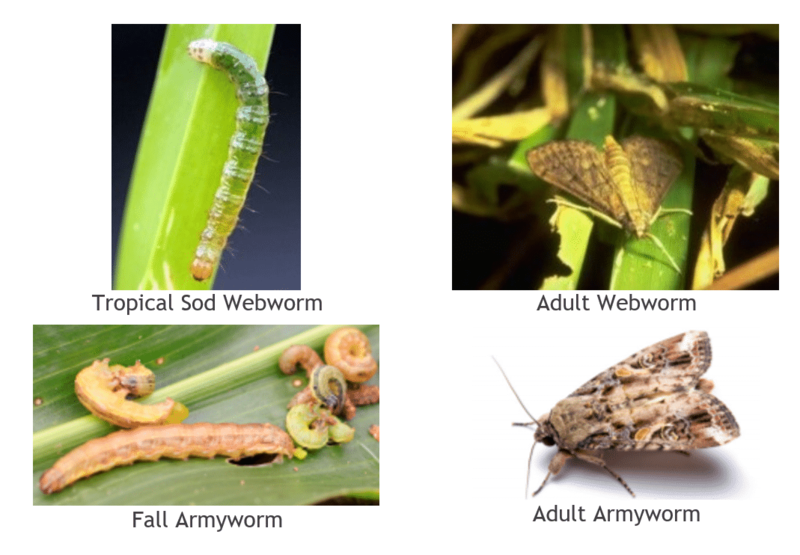 Monitor Insects and Disease: Although others can be active, the major insect pests in North Florida this time of year are Tropical Sod Webworms and Fall Armyworms. If there has been no freeze, and no drought induced dormancy, brown turf could be indicative of tropical sod webworm damage. If you see the characteristic notched or chewed areas in the grass, use an insecticide specifically labeled for your lawn type. Fungal diseases are also prevalent at this time, becoming active when the soil temperature begins to cool down. Brown Patch can be a problem in Fall through Winter. Bonide Infuse Systemic Disease Control is useful for this. Frequently scout the vegetable garden as insects are easier to control when first noticed. Horticultural soap sprays will control many soft-bodied insect pests and Bt (Bacillus thunbergiensis) is useful against caterpillars. Spinosad is particularly effective on caterpillars and thrips (also leafminers, spider mites, mosquitoes, ants and fruit flies) and lasts up to 4 weeks. Additionally, it is safe for people, beneficial insects and adult butterflies, and safe for bees once it has dried. Many insect problems require a combination of pest management products and techniques. 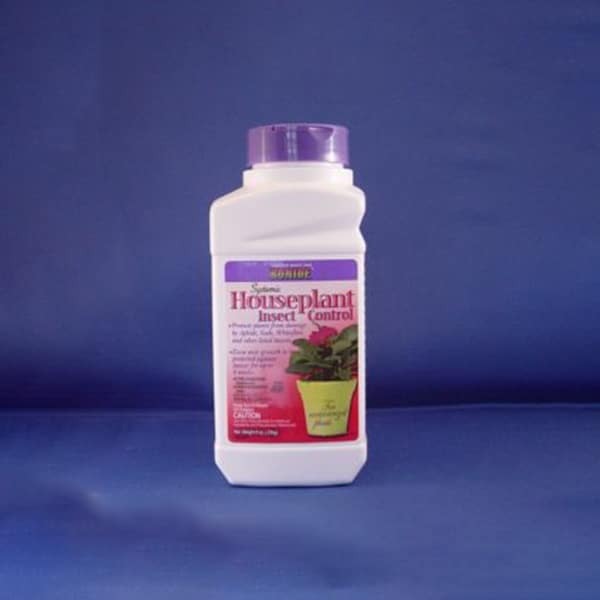 Rockaway has products specifically for all these problems, including products safe to use for your vegetable garden. Prevent Cold Damage: One way to avoid some cold damage is to refrain from a complete fall clean up. Leaving spent vegetation, ornamental grasses and other perennials until spring provides insulation for the plant and others around it (not to mention more homes for wildlife and beneficial insects). It is also helpful to have some freeze cloth on hand to protect plants that are marginally hardy. These cloths need to extend to the ground to catch the heat retained there. A string of Christmas lights under the cover can make a difference too, as can a new cover of mulch over sensitive roots. Make sure your evergreens have had adequate moisture going into winter as they can be desiccated by winter conditions. An application of a dormant oil on broadleaf evergreens will not only control scale and mite insects but will also lessen moisture loss through leaves. Watering the ground a day before a cold spell will allow it to absorb more solar radiation which is released overnight. The overhead protection of overhangs and porches can be sufficient protection for marginal plants, especially with the extra heat radiating from the building. Harvest citrus if temperatures will be 28° for 4 or more hours, unless the fruit is not ripe. Maintain Mowers and Tools: When the gardening season takes a short break in winter, and lawn growth has slowed, use up the gas in the mower, hose off all debris and sharpen the blades. The ragged cuts from dull mower blades can lead to diseases in lawns. Hose off large clumps of dirt from garden tools. Clean rust with a wire brush and penetrating oil. Sharpen shovels, trowels, axes, and hatchets using a metal file held at the same angle as the original bevel. Push the file in long strokes across the edge of the blade. After filing, use some light machine oil and a fine grit grinding stone on the burr created on the back edge of the shovels and trowels. Pruners and toothed pruning saws should be taken to a professional. Tool blades can be wiped with steel wool and oil. Alternatively, tools can be plunged into a bucket containing a mixture of sand moistened with lubricating or vegetable oil. Polish with a coarse cloth. Lightly sand handles and rub on a coat of linseed oil. Hang tools to protect them from damage. WINTER PROTECTION OF BANANAS: Container grown bananas can survive as houseplants during the winter if they receive plenty of bright light and humidity. They don’t require much water in the winter. Keep temperatures above 50 degrees. Garden grown bananascanbe overwintered in the ground; the goal is to protect the pseudostem. Once cold temperatures have caused the leaves to turn brown and collapse, cut off the top of the plant, leaving 3-4′ of pseudostem remaining. Leaving the brown leaves on the remainder of the plant will provide additional insulation. Construct a cage around the trunk using rebar and concrete reinforcing wire. Drive three rebar into the ground 2′ from the outermost pseudostem to create supports for the wire. Form a cage by wrapping the concrete reinforcing wire around the stakes. Secure the wire to the stakes with zip ties or string.Fill the cage with shredded leaves, to provide the right insulation, aeration and drainage. Don’t use whole leaves, pine straw, hay or grass clippings. When new banana leaves begin growing in spring, remove the cage and spread the shredded leaf mixture around the base of the plant where it will serve as mulch and compost for your banana plant. HOLIDAY DECOR: Poinsettias, cyclamen, forced amaryllis and narcissus, and Christmas cactus are an integral part of holiday indoor and porch decorating. Bright but not direct indoor light is good for most, but see our care guides for these plants. Amaryllis, Paper Whites and Christmas Cactus can be coaxed to bloom (“forced”) during the holidays, outside of their normal season. Paper whites can be treated following the instructions for Amaryllis. Besides planting them in soil as directed in the Amaryllis handout, both can also flower in 3-5 inches of gravel as a base in a non-draining container, then covered 2/3 up the bulb with gravel and watered until the water just touches the bottom of the bulb. See individual care guides for further instruction on forcing blooms. The chart below will help you determine when to plant or begin treatment to see blooms for the Holidays. *Most tulips require a chilling period to bloom, simulating winter cold. A few species are from warmer climates and do not need chilling. These include Lady Tulip (Tulipa clusiana), Candia Tulip (T. saxatilis) and Florentine Tulip (T. sylvestris). Species which require chilling are considered annuals in our N. Florida landscape, since we don’t have the conditions to keep them returning. You’ll also find garland, wreathes of different types and Christmas trees at Rockaway for holiday decorating. See the Christmas Garland Guide for information on types of greenery and their uses. For information about choosing and caring for your Christmas tree, see the Christmas Tree Care guide and Guide to Ordering the Perfect Height Christmas Tree. This is a great time of year for camellias. Shishi Gashira is an early variety, flowering for several months beginning in October. It produces a profusion of hot pink, semi-double blooms with contrasting golden yellow centers and has glossy, evergreen, dark green foliage. It has a spreading habit with graceful, arching branches which reach 4-5′ tall and 6-8′ wide. Shishi Gashira grows in full to part sun; water when the top 3 inches of soil is dry. Provide organically rich, well-drained, acidic soil. Use as a container plant, low hedge, espalier, foundation plant, in mixed shrub borders for dramatic winter blooms, in a woodland garden or as a high-profile groundcover. Cut flowers are long lasting. It’s a real stand out whether alone or massed.